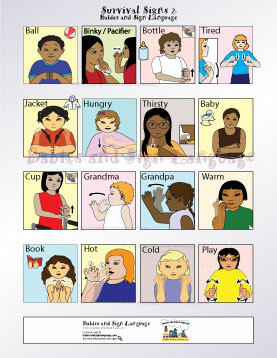 Each panel shows an illustrated child signing a useful ASL sign. Each sign is shown using anatomically correct hands. This is the second general signs poster. Viewing Survival 2 Poster. See the Survival 1 Poster or Survival 3 Poster!